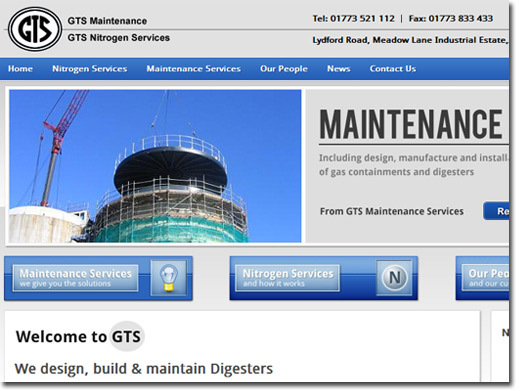 GTS Maintenance and GTS Nitrogen Services are a UK based private companies providing design, engineering, fabrication, manufacture and site installations of gas containments. UK (Alfreton) based company providing GTS maintenance and nitrogen services. Website includes details of services provided, ISO accreditations, news section, full company contact details.